Paella Set for 4 persons. The kit consists of: Spanish Paella pan of 30 cm (for 4 people). 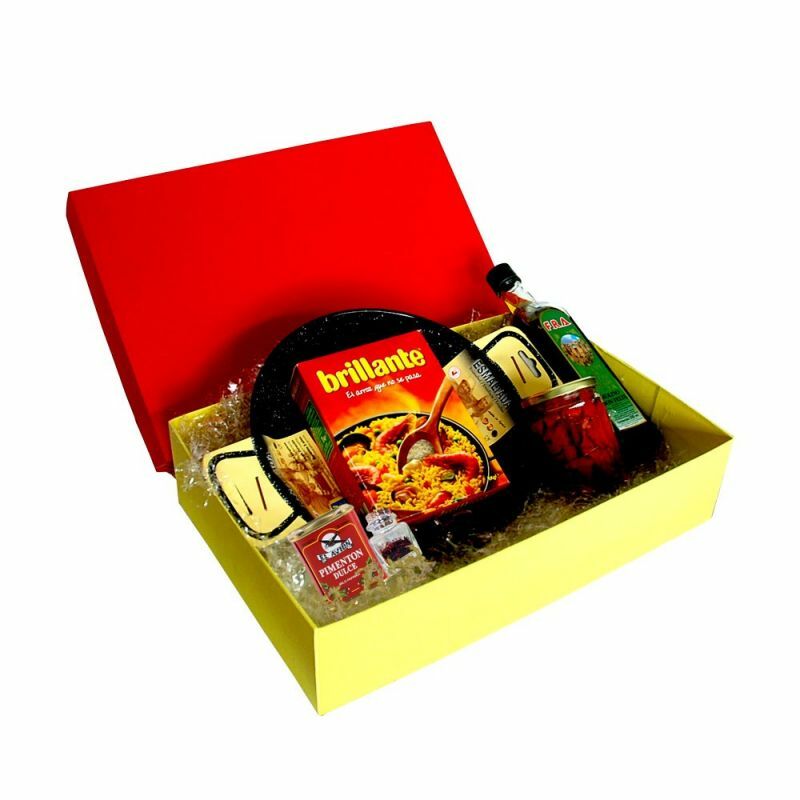 1 bottle of olive oil of 500 ml., 1 kg of shining rice, red peppers in can of 75g, grilled peppers in glass jar of 260 gr., 1 gr of saffron in glass jar, a recipe explaing how to make paella, everything in a Myjamon red and yellow gift box. Paella is the perfect dish to share a wonderful dinner with family and friends, is an opportunity to try one of the most famous dishes of the Spanish cuisine. 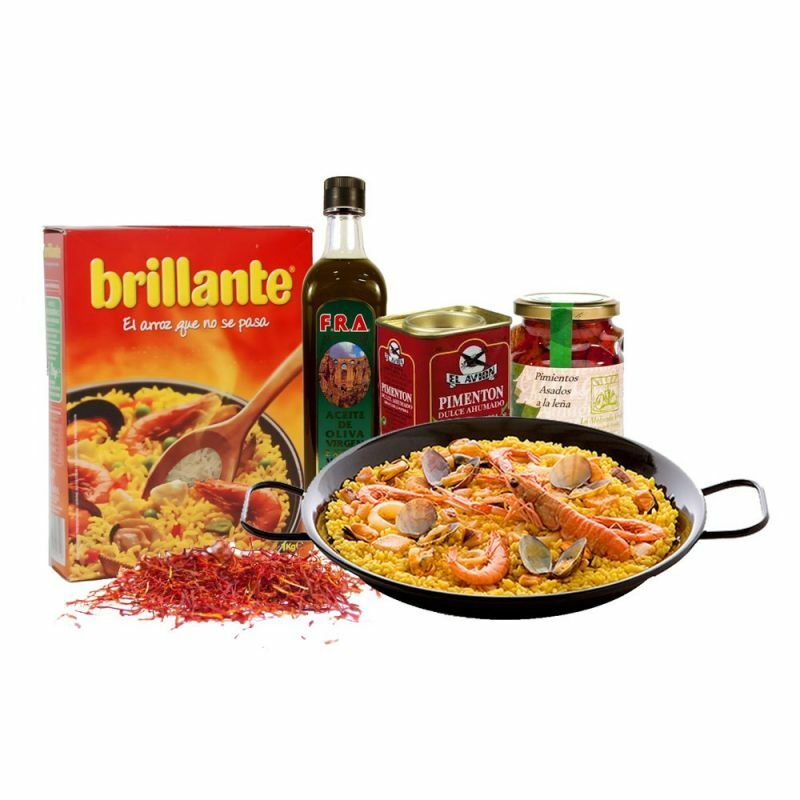 The kit provides all the necessary to make paella, it contains a type of shiny rice, known and used all over the country. With peppers and saffron you can give to this dish all the most authentic taste and the typical color, it will be as if you were eating in one of the kiosks that are on the Spanish Mediterranean coast in Summer. Do not miss the chance to bring home all the flavor of Spain, shows to your friends that you're a real chef and amaze them with 100% Spanish paella.